Since I’ve started on a different contraceptive (the injection) and new medication for my vertigo, my skin has absolutely gone to pot. It’s been left looking incredibly dull with gorgeous blotchy red bits and some lovely little patches of acne. Thanks skin, you da best! 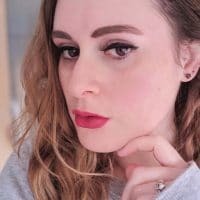 So I went searching for some products to help my skin look and feel better! 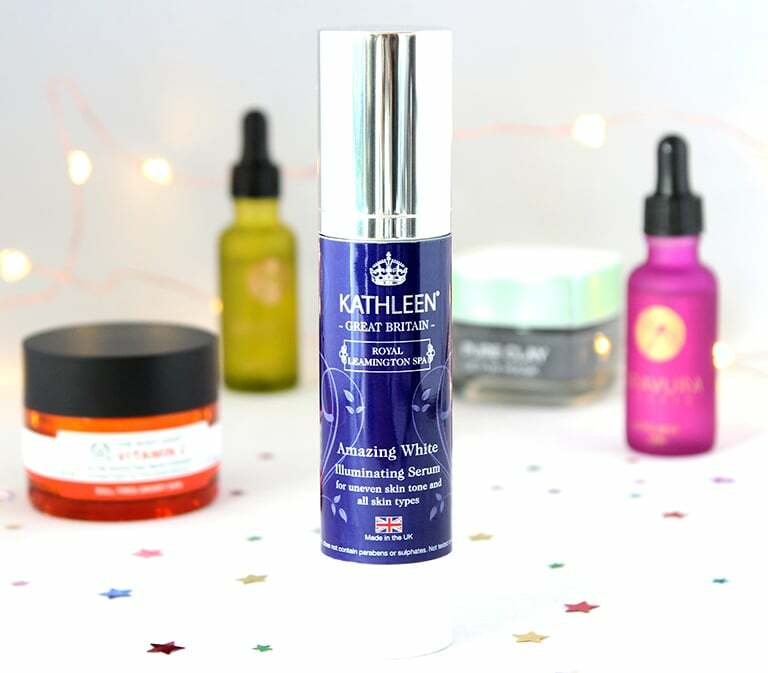 For the past six weeks I’ve been trying out the Amazing White Illuminating Serum from Kathleen which is meant to help skin tone, hydrate and energise the skin. The serum is 100% organic and contains 12 active ingredients, including; liquorice extract for its anti-inflammatory properties, lemon extract to soothe and lighten skin tone and olive oil which contains vitamin E for reinforcing skin elastic. (For more info on the other ingredients, click the link above!) I love that their products don’t contain any parabens or sulphate and that the products haven’t been tested on animals! 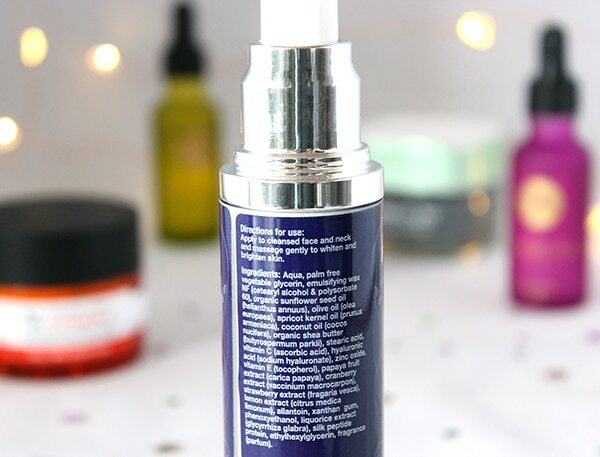 I don’t think I’ve ever actually used a face serum that you don’t wash off before, so I was intrigued to see the results, especially with it having so many ingredients which claim to help skin look incredible! Oooh, I love the packaging, it looks really luxurious and “high-end”. It’s going to look very fancy in the bathroom! Hmmm, there’s not much of a smell to it, I think I like that. No, wait, there is a faint smell and it’s really nice. I don’t know what it is but mmmm! Jesus, this serum is thick. I thought it was going to be a clear thinnish liquid, but it looks more like a moisturiser! Crumbs! Hmmm, I wonder how many pumps I need? Better go two to be sure. Damn, two is definitely one too many pumps, I’ll just try one next time! This is gliding on like a dream. I wonder how long I have to leave it before it’s dry? Oh, it’s already dry, that was fast!! Oooooh, it’s made my skin feel so soft and smooth. I wonder if J wants to feel how soft my face is? Bugger, have I moisturised? I can’t remember. I think I did. Oh, I didn’t moisturise, I’ve just found my moisturiser in the dining room. I wonder what it was doing in there? But wow, my face looks so hydrated and there are no dry patches at all! I have really enjoyed using it, but as it costs £62.40 (for 50ml), I’m not sure I’d be rushing out to buy more when this bottle is finished. I think it’s a little on the pricey side for me. That being said, I’d happily accept any of the range as presents. My birthday is in August FYI. 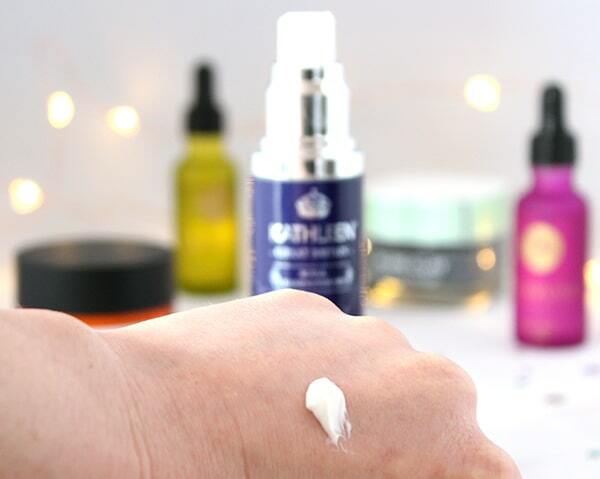 The Kathleen website officially launched on 1st May and have loads of other amazing sounding products like the Silk Miracle Essence and the Refreshing and Lightening Cleansing Lotion. *This product was kindly sent to me but views are my own. Loved your style of writing this post! This sounds like a lovely product. I love that it’s all natural too. Bit pricey like you say but I guess we always get what we for pay for! I have dry patchy areas on my face too! So annoying. I tend to use Alpha H liquid gold to get rid!! I know what you mean, there’s some amazing products out there but without a celebrity status I just can’t afford to keep re-purchasing!